- Added improvements to "Archive Manager": ability to edit LV2, RAM, select a piece of code, copy it (max 1MB), paste it on other place(file/memory), use it to find matches (max 512 bytes) or create a new file with that content. - Modules explore_plugin and libfs must be patched. Controller" the "Disc - Less payload" option. 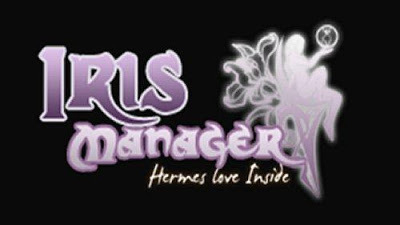 - Restart Iris Manager and select a game: to have a better compatibility, use BD EMU with patched libfs.sprx or patched explore_plugin.sprx. On Iris Manager or XMB, insert a USB flash drive, USB storage device, or memory card, and then launch the game. Before to run Iris Manager, insert a USB flash drive, USB storage device or memory card, then run Iris Manager, select a game and the disc will be mounted on XMB automatically. Without a USB device or memory card: Run Iris Manager, select a game and on XMB, run another application, such as "Homelaunc1", that get in and get out quickly. With that, the game will be mounted on XMB. This has been tested in CFW 4.40 Miralatijera: in theory, It should work on other CFW, since the code was created considering the portability (ability to locate the code on any place and re-define the necessary calls). Obviously, this is a full disc-less mode: you can't pretend to insert a real disc with the syscalls simulating another, so you must restart the PS3. It's compatible with the PSX ISOS from Iris Manager.